This year’s Shakespeare-in-the-Park puts a modern twist on one the most well-known love stories of all time. In casting two women in the lead roles of Romeo and Juliet, Repercussion Theatre brings the story into 2018 in a tender and uproarious fashion. The play, which tours dozens of parks across the city and beyond during its run, is charming and approachable. It’s the best way to experience Shakespeare (in this reviewer’s opinion anyway) sitting on a picnic blanket with a glass of Chardonnay and watching as the sun dissolves into dusk. During my first attempt at seeing this show, a torrential downpour and accompanying thunderstorm put a sudden end to the performance half-way through. I have to give a shout-out here to the incredible crew behind this production who sprang into action, tearing down elements of set and tossing tarps over the lighting and sound equipment the second the first drop hit the ground. Before I start to sing the praises of the onstage talent, I’ll note that Kellock is fantastic – she is one of the most consistently good directors in Montreal’s English theatre scene and deserves credit not only for producing a series of excellent shows, but for doing it under such challenging circumstances. As to the show itself, there wasn’t a weak performer among the cast as led by Shauna Thompson (Romeo) and Michelle Rambharose (Juliet). The pair are very sweet together, exuding a youthful innocence befitting of two teens willing to lay down their lives for love. Along with the title characters, several others were opened up to gender-queer casting including Lord and Lady Capulet, played by Nadia Verrucci and Anton May, respectively. The show as a whole isn’t best known for being comedic, but this production found a way to milk every laugh and then some, keeping the mood jovial despite the numerous deaths. It’s a real pleasure to see Shakespeare done through such a high-spirited and visually interesting lens. The costumes especially, done by Sophie El-Assaad, hit the perfect note of period piece-meets-grunge with a splash of optimistic orange. 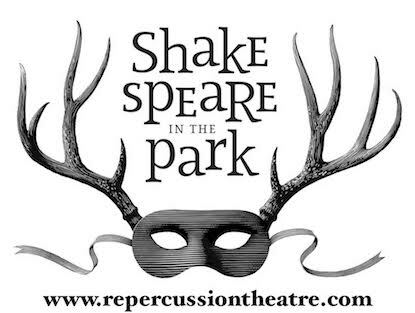 Repercussion Theatre is now in it’s 30th season presenting Shakespeare-in-the-Park and its shows are simply not to be missed as an iconic mainstay of Montreal summer.